In 2015 (2072) Nepal was destroyed by two powerful earthquakes. The first one measuring 7.8 on the Richter scale struck on 25 April, another 17 days later, i.e. on 12 May. These earthquakes killed nearly 9,000 people, destroying over 600,000 homes. In 2015 (2072) Nepal was destroyed by two powerful earthquakes. The first one measuring 7.8 on the Richter scale struck on 25 April, another 17 days later, i.e. on 12 May. These earthquakes killed nearly 9,000 people, destroying over 600,000 homes. 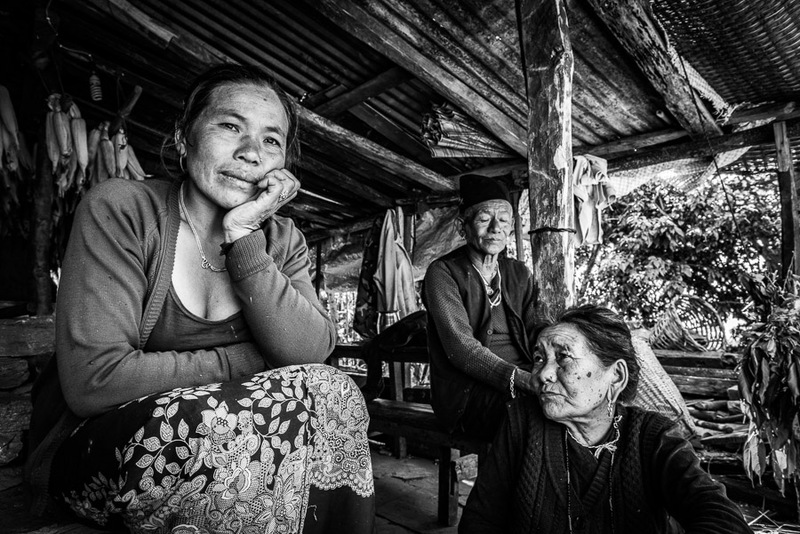 A family living in a temporary shelter in the village of Baluwa, in Gorkha District. 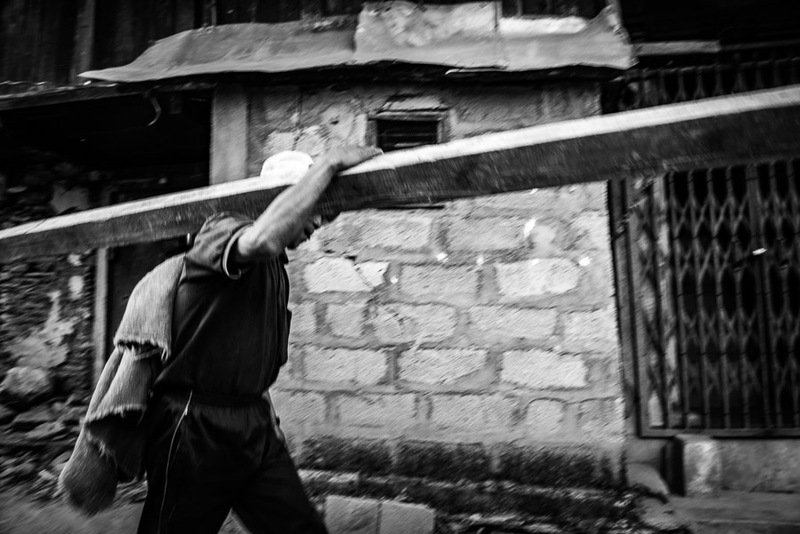 A man carrying materials for rebuilding houses destroyed by the 2015 earthquake. Barpak, Gorkha District. 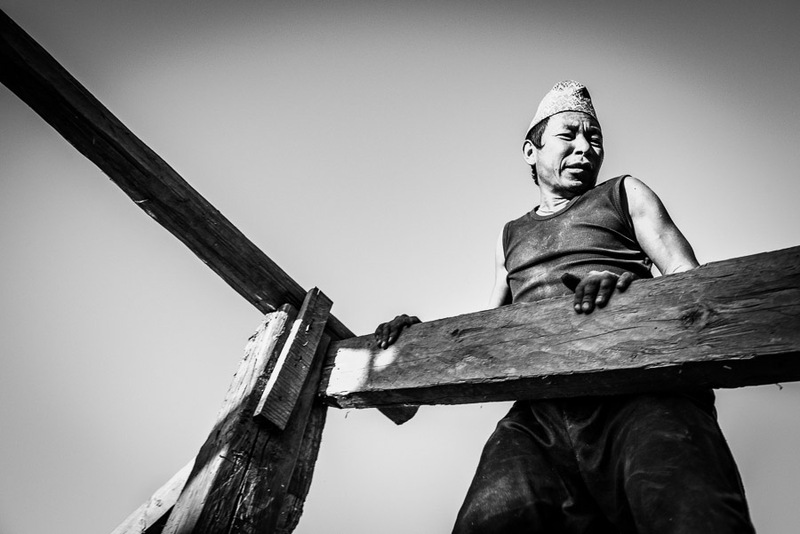 Men rebuilding houses destroyed by the largest earthquake in Nepal in more than 80 years. Baluwa, Gorkha District. More than year and a half has passed since the earthquake. 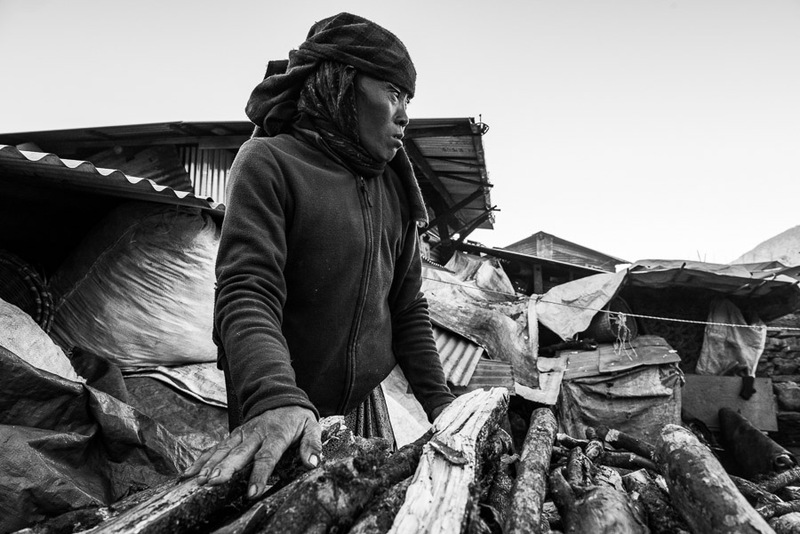 The money for rebuilding homes has not been given to the survivors yet. 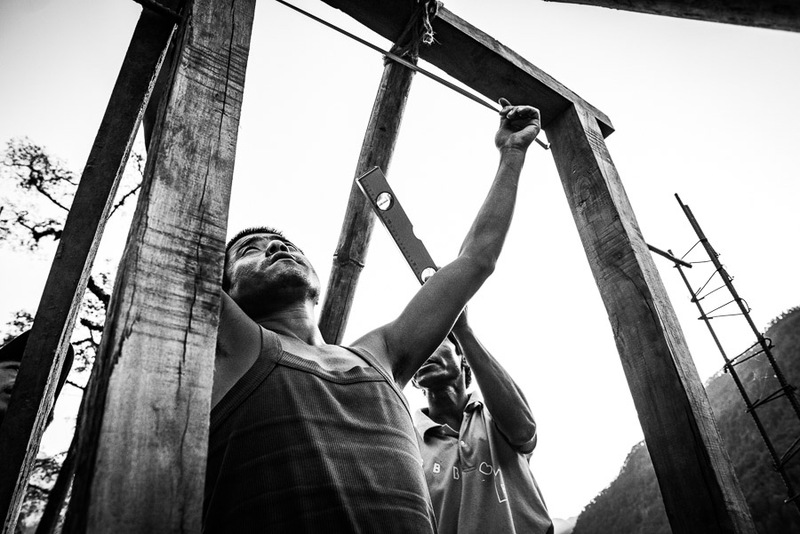 Residents of the village of Barpak, in Gorkha District, are rebuilding homes on their own. 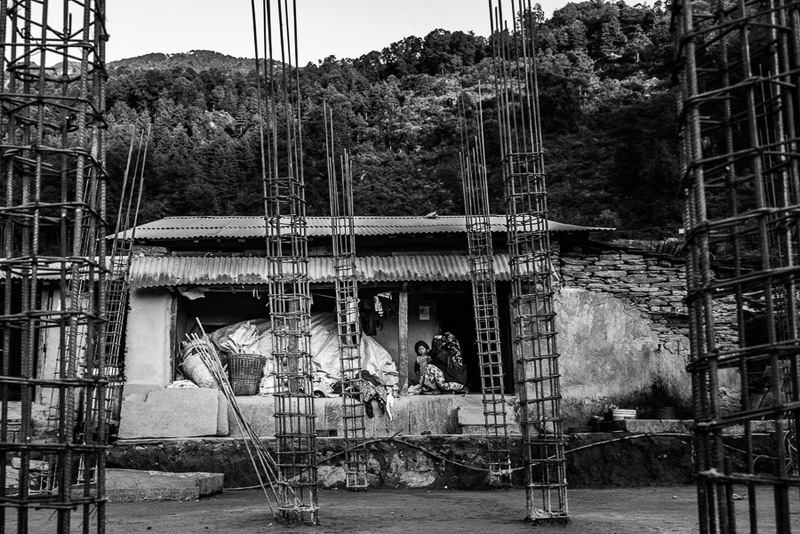 A man rebuilding a house in Barpak, the epicentre of the 2015 earthquake. 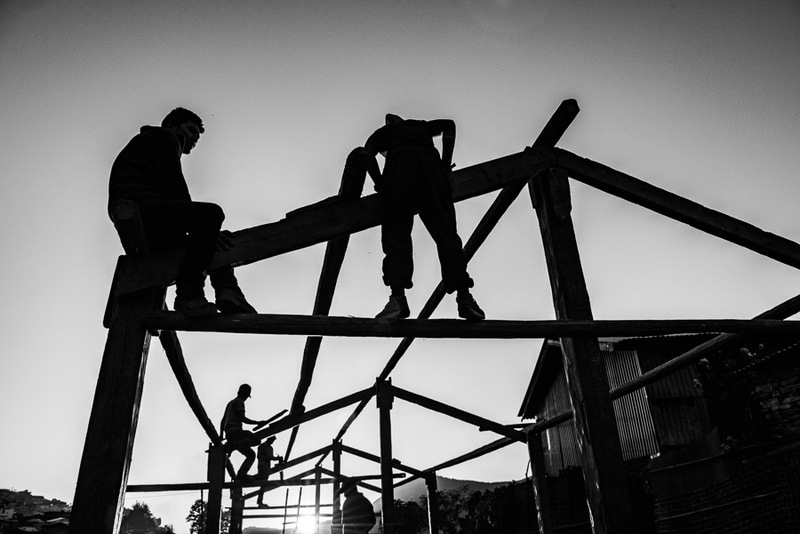 Workers rebuilding houses in Barpak, Gorkha District, in the epicentre Fof the 2015 earthquake which almost destroyed the entire village. 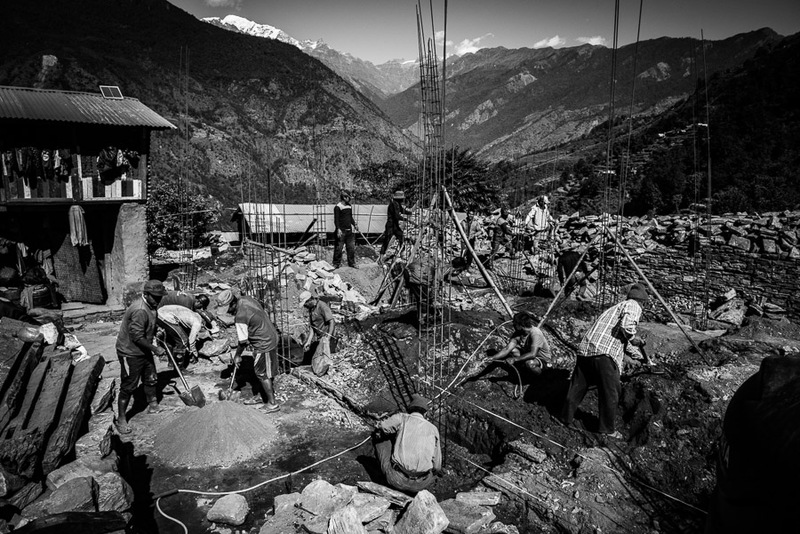 Men doing building work in the village of Barpak, which was almost completely destroyed by the earthquake of April 2015. 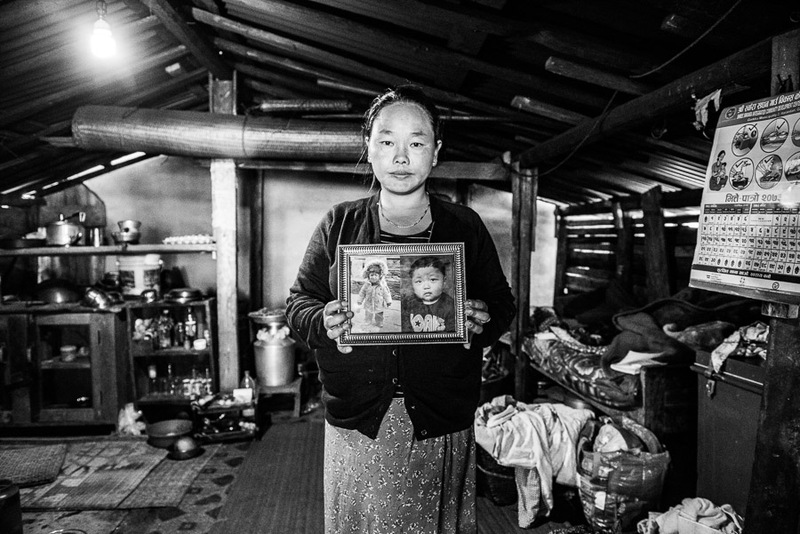 Indra Kumari Ghale who lost her nephew during the earthquake which killed nearly 9,000 people in a temporary shelter. Barpak, Gorkha District. 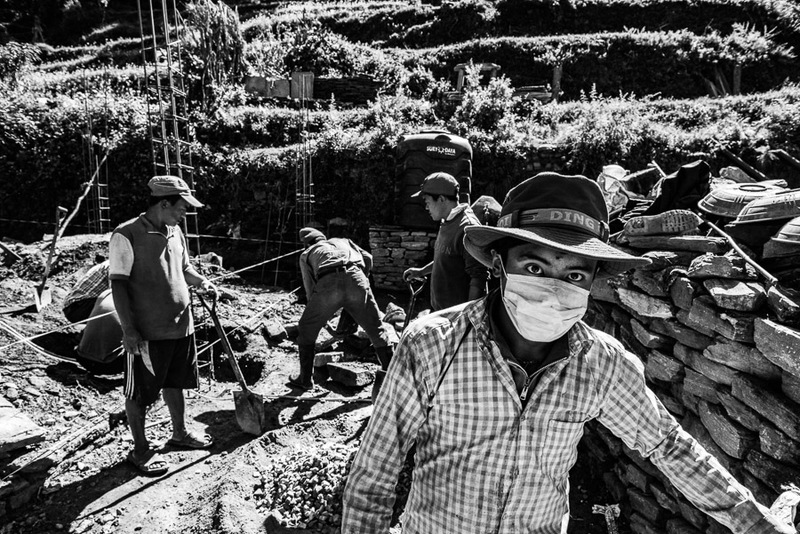 A resident of the village of Barpak doing everyday work. 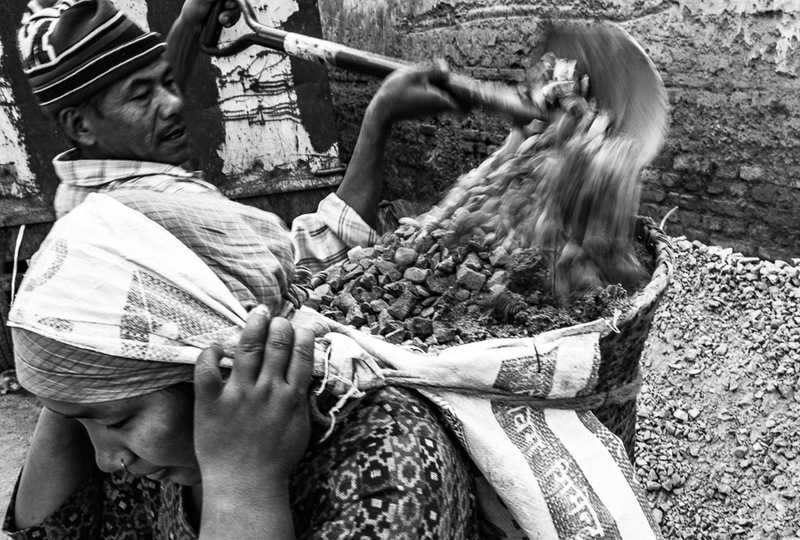 A woman crushing rocks into gravel with a hammer; this material is needed for constructing houses. 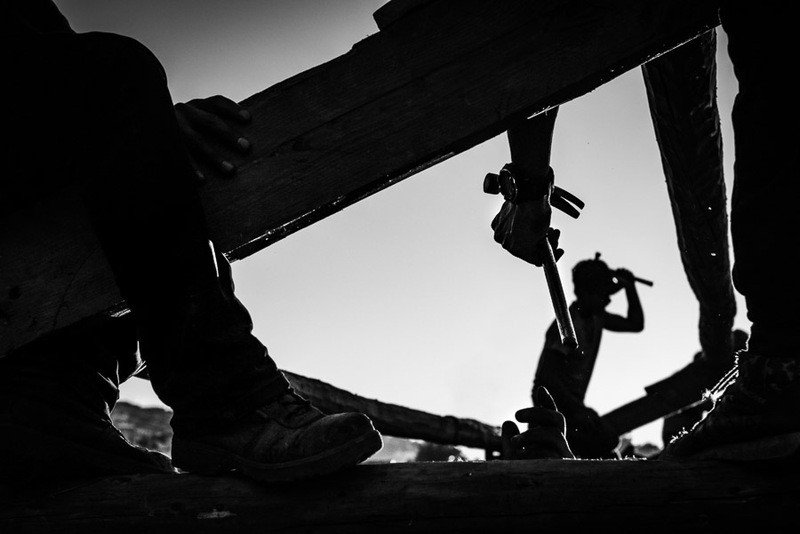 It is hard and laborious work, which they do for several hours every day. Barpak, in Gorkha District, the epicentre of the earthquake of 25 April 2015. 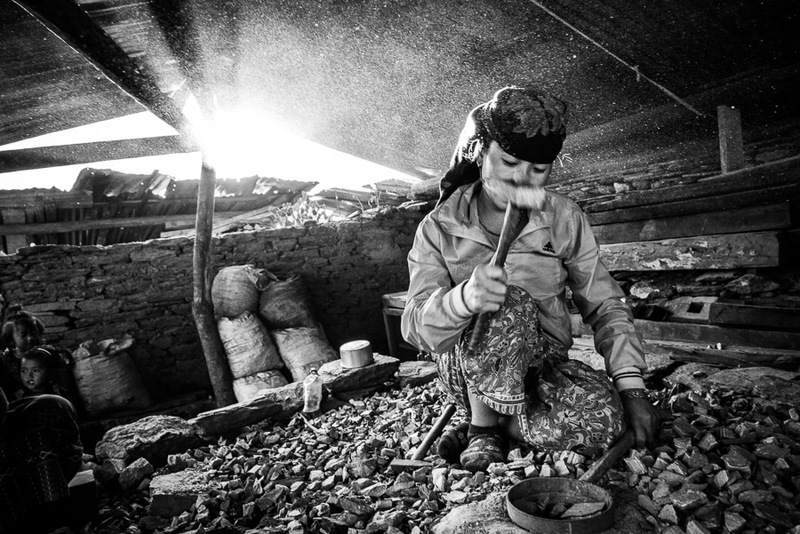 A woman carrying a basket of rocks – material necessary for rebuilding homes destroyed by the earthquake. 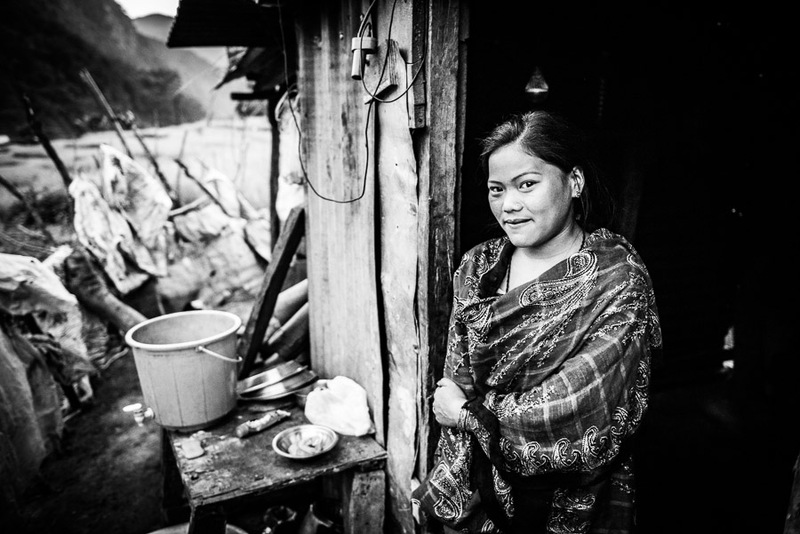 After more than year and a half, the residents of Barpak are still living in temporary shelters. 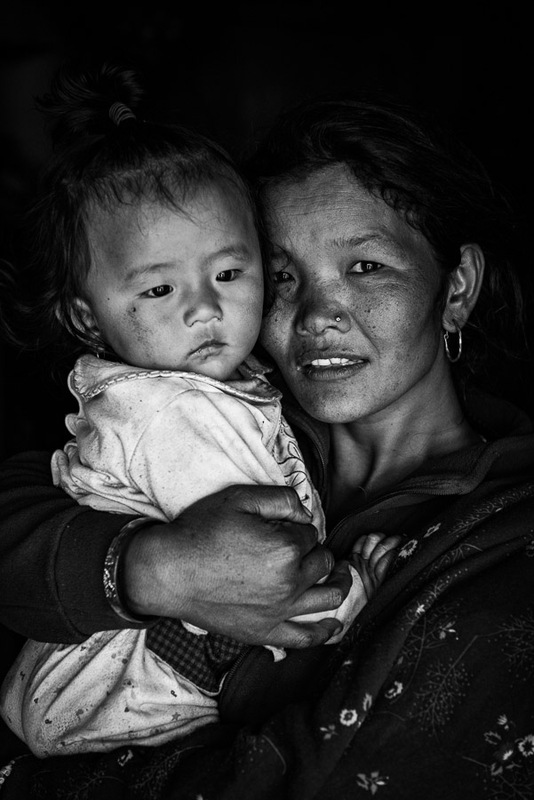 Dhan Maya Ghale hugging her child. 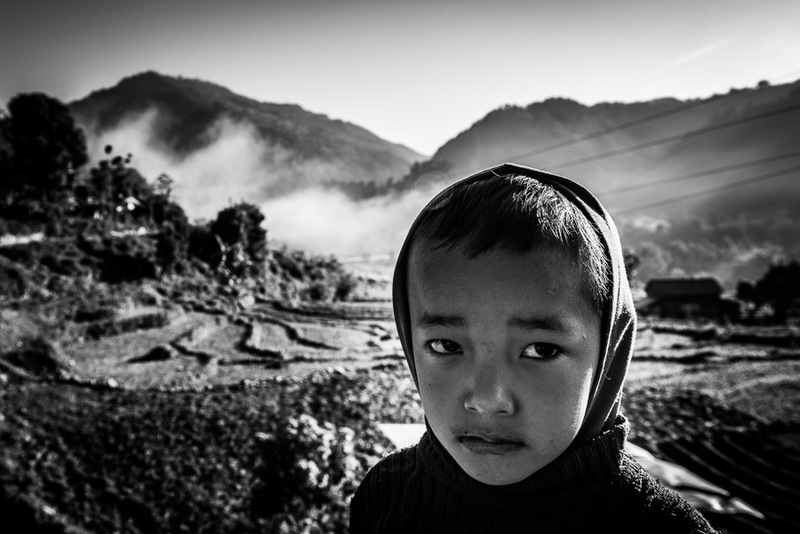 A resident of Barpak where the epicentre of the 2015 earthquake was. She lost her daughters, a 6-year-old girl and a 3-day-old infant. 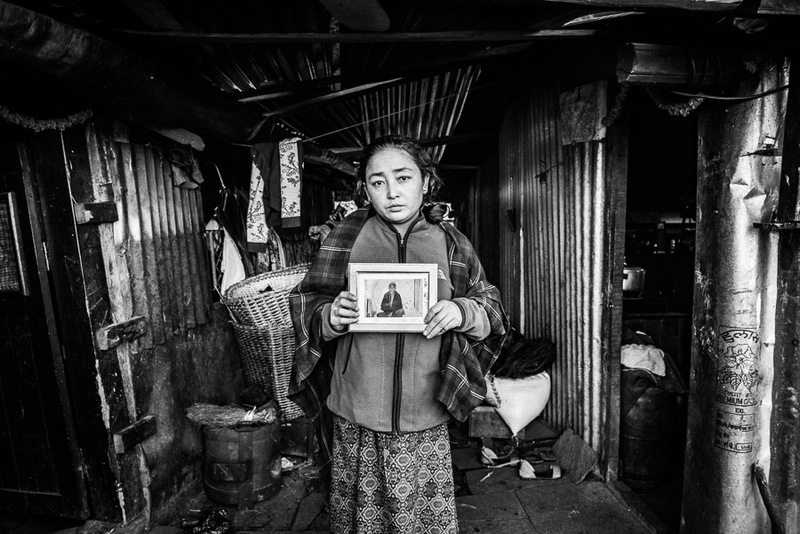 Ram Maya Ghale resident of Barpak next to her home; she lost a member of her family in the 2015 earthquake. Barpak, Gorkha District. 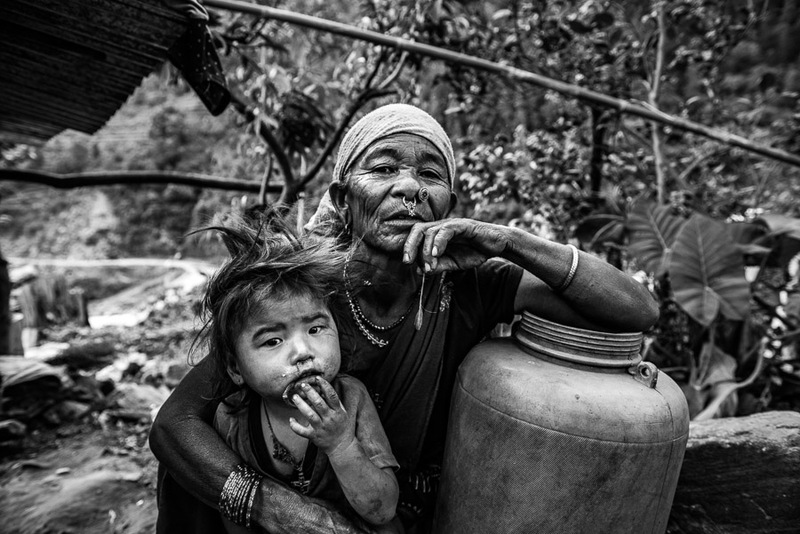 Maldhani Gurung a 70-year-old woman with her granddaughter in the village of Baluwa, Gorkha District, near the epicentre of the 2015 earthquake. 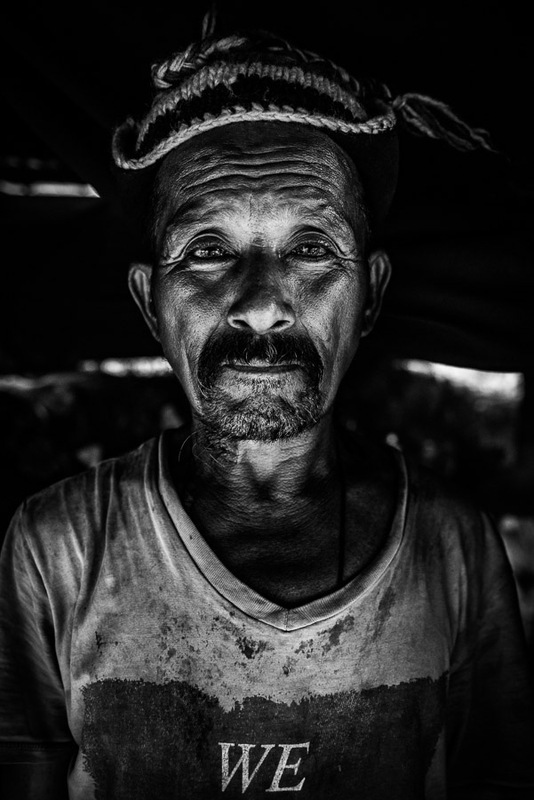 Gan Bahadur Gurung a 63-year old resident of Baluwa, in Gorkha District; the earthquake took his wife. 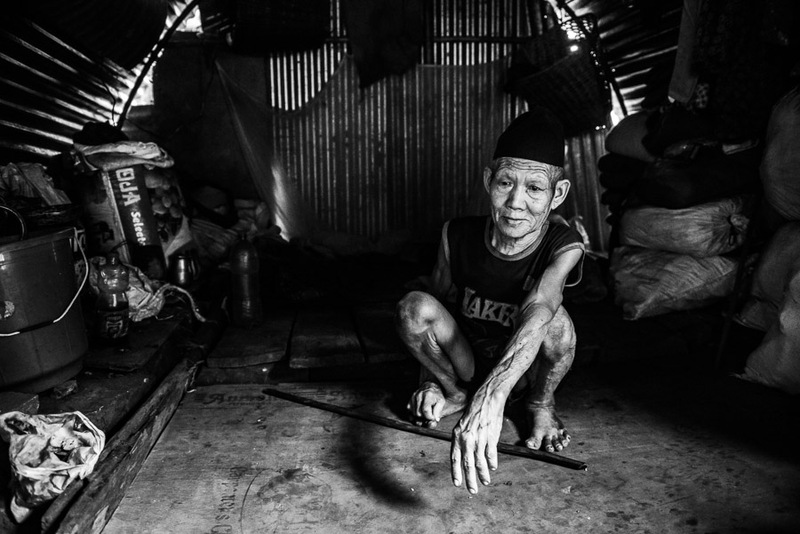 Ran Bahadur Gurung a 80-year-old man in a temporary shelter in the village of Baluwa, in Gorkha District. 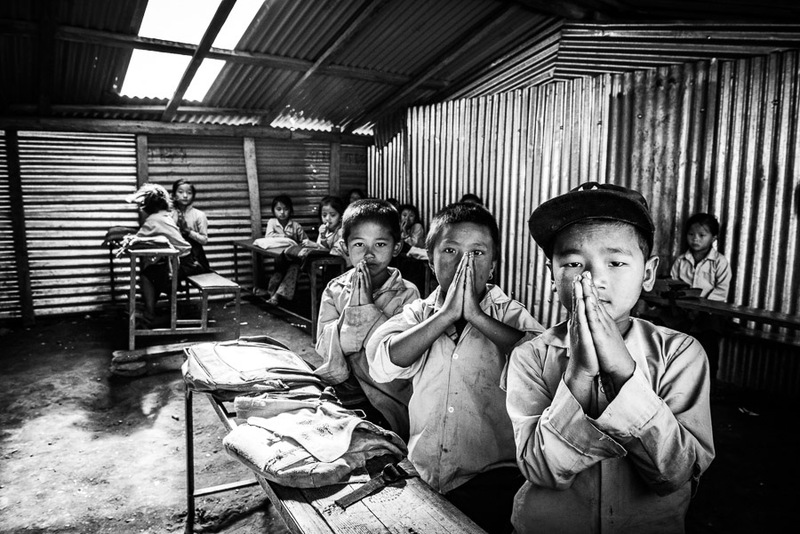 Pupils in a school in Mandre, Gorkha District. 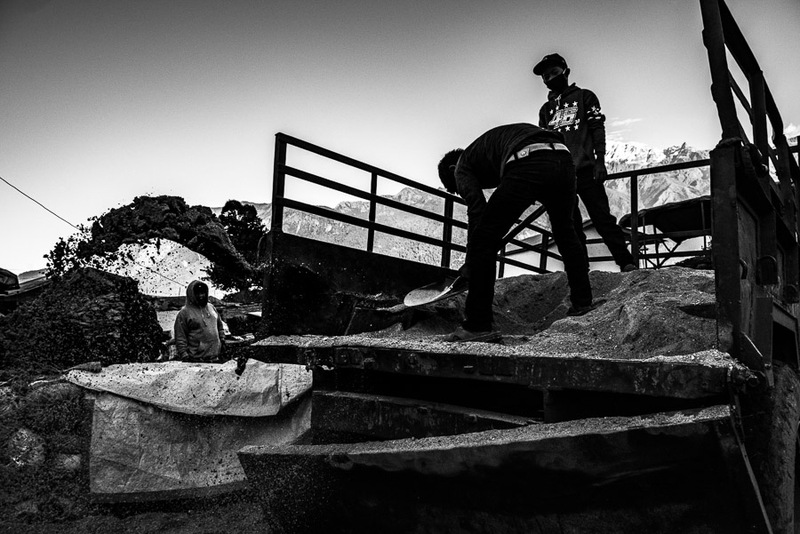 On 25 April 2015 the school was completely destroyed by the earthquake. It was only after 4 months that the residents managed to rebuild a temporary school, using corrugated iron. 250 pupils attend this school. 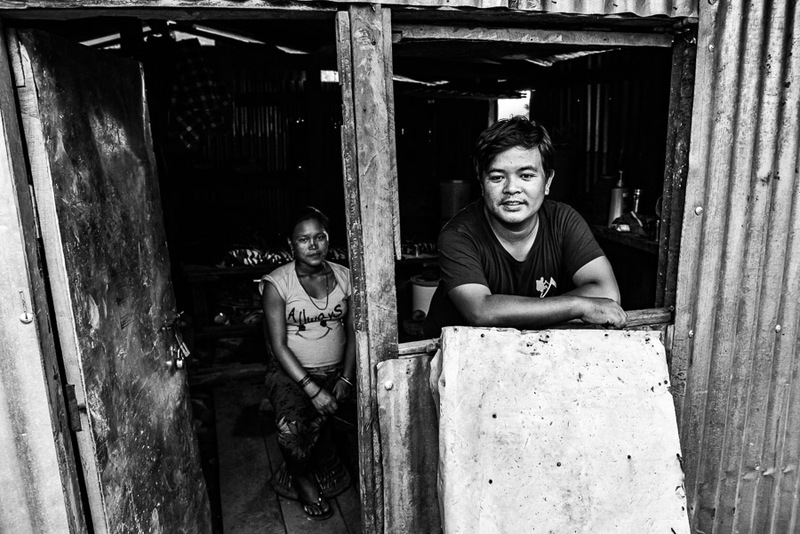 They are taught in poor conditions, without electricity and school materials. A boy against a background of the Himalayas in Baluwa, near the epicentre of the earthquake of 25 April 2015.